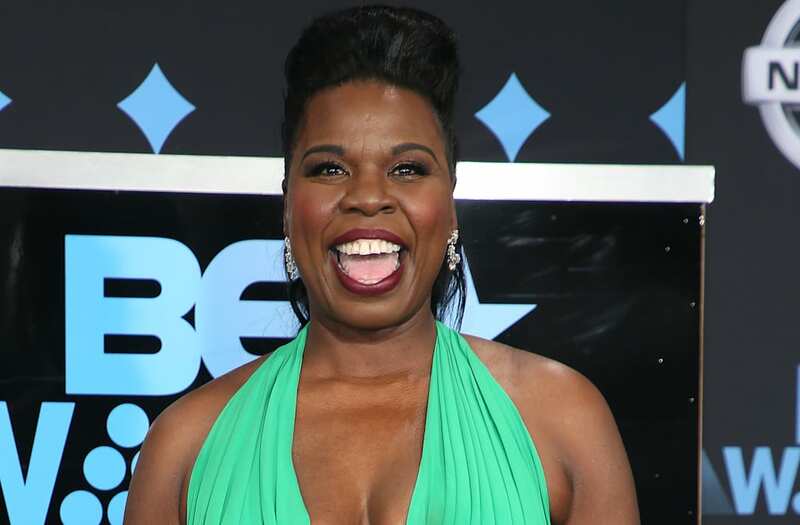 The "Saturday Night Live" star stepped out on Sunday night to fulfill her hosting duties at the 2017 BET Awards, and she had us green with envy in a gorgeous, cleavage-baring gown! Jones rocked a stunning green look with a plunging neckline and a thigh-high slit, resulting in what may be her sexiest look ever. The draped gown looked fabulous in the spotlight and was all smiles as she posed for the photographers on the star-studded red carpet. The comedian, 49, has slowly become one of the biggest names in comedy over the past couple of years, when she became a breakout star on "SNL." Last summer, she starred in the all-female "Ghostbusters" reboot and has appeared in a handful of other high-profile projects. Of course, Jones wasn't the only big star to step out for one of music's biggest nights. Though Beyoncé, who had the most nominations of the night, wasn't in attendance, a slew of other notable names were there. "Girls Trip" cast members Queen Latifah and Jada Pinkett-Smith were also on hand, as were other celebs like Blac Chyna, Yara Shahidi and French Montana.